Squamous Cell Carcinoma is the second most common type of cancer in Australia. This cancer starts in the outer layers of the skin, and it is very slow growing. In 2016, there were over 2,500 skin cancer treatments each day. Squamous Cell Carcinoma is a type of skin cancer that develops in the outer layers of an individual’s skin or the epidermis. If a person’s skin cells start to grow at a rapid pace, or if they overgrow, Squamous Cell Carcinoma can develop. It can present in several ways such as a scaly red patch, an elevated growth with a depression in the middle, warts, or open sores. They may also crust over and bleed. This type of skin cancer can be found all over a person’s body but it tends to be found more often in places that are more exposed to the sun on a regular basis. Arms and Legs – In warmer weather, you usually expose your arms and legs to the sun to stay cool, and this gives the cancer a greater chance of developing. Hands – A person’s hands are another common place for Squamous Cell Carcinoma to develop. Hands spend a lot of time exposed to UV rays. Head and Neck- Your head is one of the most exposed places on your body. You can typically find Squamous Cell Carcinoma on the rims of people’s ears, their lips, on their face, or on their scalp if they have thinning hair. Finally, the neck is another common place to find this type of skin cancer. If you have an irregular spot that is causing you to worry, it is best to make an appointment at My Skin Centre. They are located throughout Perth, and their staff is trained in diagnosing and treating skin cancers like Squamous Cell Carcinoma. Once you make your appointment, one of the trained staff at My Skin Centre will look at the mole or spot that is causing you to worry and they’ll perform a Dermoscopy. This process will take around three minutes from start to finish, and it’ll allow the physician to see any colourless lesions that may be present under a microscopic lens. 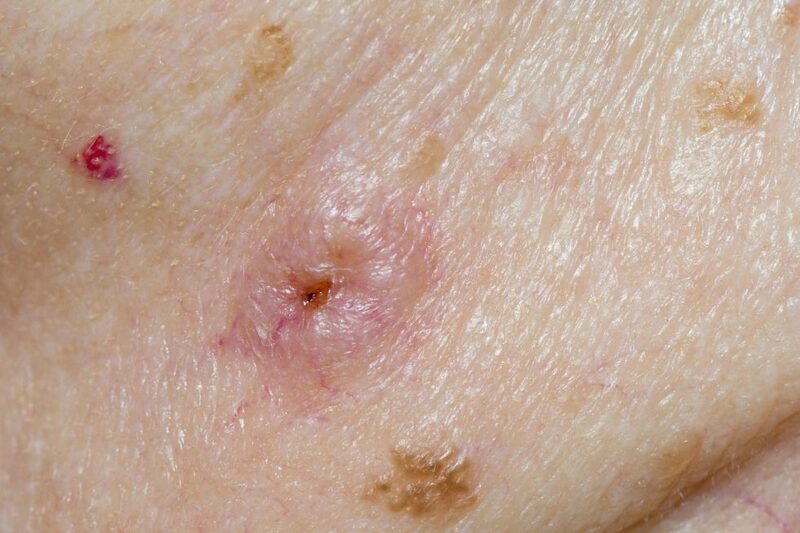 The physician at My Skin Centre may also perform a biopsy of your spot or mole. It may be a shave biopsy or a complete punch removal depending on the size and the severity of the area. This biopsy takes 10 to 15 minutes from start to finish, and there should only be minimal pain and healing time. This sample will be sent out to a pathology lab, and a staff member will contact you within 3 to 5 days. If it is cancerous, they’ll advise you of a treatment plan. Curettage and Cautery. During this procedure, the cancerous area will be scraped off of your skin, and any bleeding will be stopped by cauterizing the area. Cryotherapy. This method works well for an individual who can’t have surgery. The physician at My Skin Centre will apply liquid nitrogen to the cancerous area. The liquid nitrogen will freeze and destroy the cancerous cells. Excision. One of the most common treatments for this type of cancer is cutting out both the tumor and a small portion of healthy skin that surrounds it. Before anything happens, the physician will apply a local anesthetic; afterwards, the wound is closed with stitches. The staff at My Skin Centre are fully qualified to perform a skin cancer screening if you have a spot that is bothering you. There are nine clinics conveniently placed throughout Perth and the South West, and you can call to book an appointment. The staff will be more than happy to set up a time that is convenient for you to get your screening and get you back to enjoying your life.